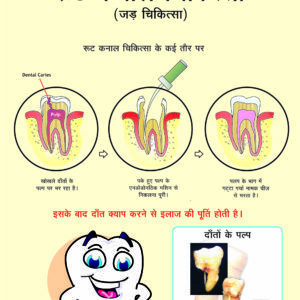 GUM DISEASE / ORAL HYGIENE POSTERS -progression of gum disease ,flap surgery,brushing,flossing,scaling,inter dental brushing,mouth washes, etc. 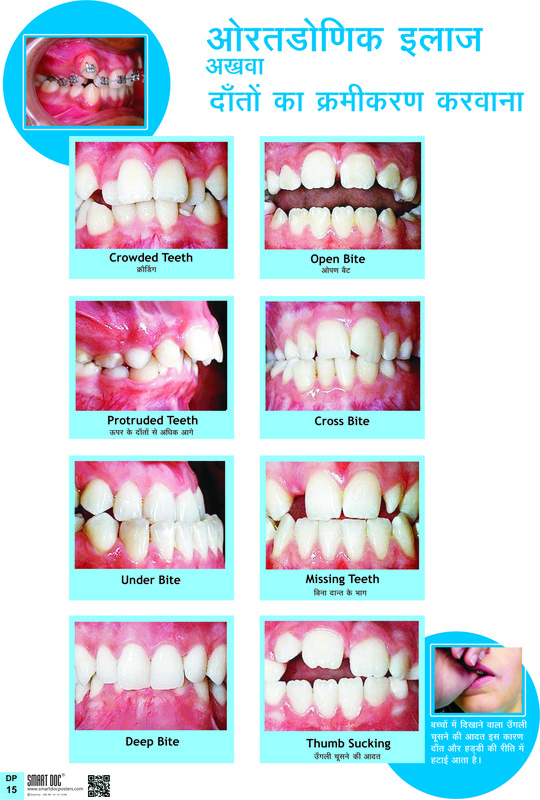 CONSERVATIVE DENTISTRY POSTERS -RCT,dental caries progression,types of fillings,composite ,lasers etc. 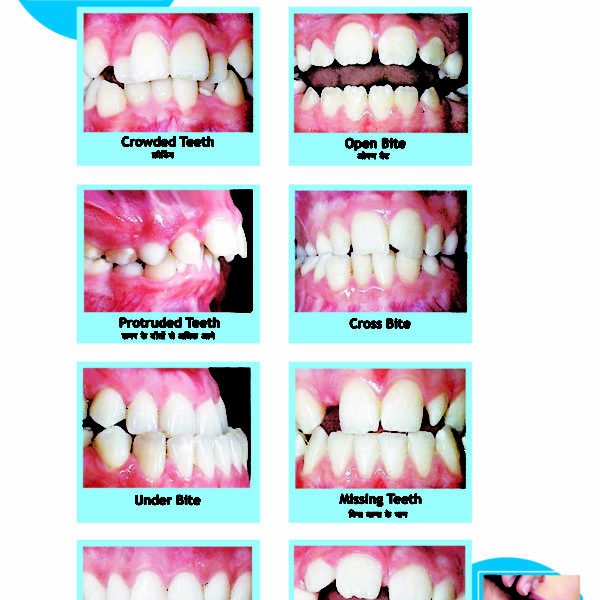 DENTURES POSTERS -why need dentures,crown and bridge,implants,removable dentures,etc. 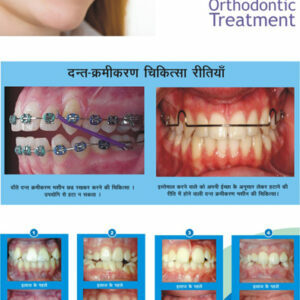 This poster with photographs explains to the patient, about Common dental problems (eg: overbite ,overjet etc.) requiring orthodontic treatment . Size: 19 x 13 inches. High quality print in thick art card ( 300 gsm). What is the need of these posters in your clinic? -These Dental education and motivation posters ,with easily understandable matter +Before & after treatment photographs +Illustrations ,can be displayed in your patient waiting area. -It explains to the patient about various modes of dental treatment facilities ,and will surely educate and motivate them! -Moreover, it is an added attraction to your clinic walls! Dentures,Orthodontics,Conservative dentistry,Child dental care,Oral surgery,Gum disease and oral hygiene ,Cosmetic dentistry,General dental info. ,And Kids corner posters! 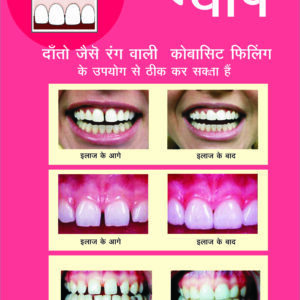 These Dental patient education and motivation posters are presently available in the following languages:English/ Malayalam/ Tamil and Hindi. Powered by Store Theme. © 2019 Smart Doc Posters. All Rights Reserved.